Unfortunately, outside elements cause bricks to crumble and deteriorate over time. If you notice chipping or flaking brick, hire our professionals to find the source of your spalling brick. Reliable Waterproofing & Masonry are the spalling brick service providers for residents in the Richmond, Virginia area. What is spalling, and why does it have damaging effects? Spalling is the deterioration and chipping away of the brick. It occurs when water enters the brick and concrete surface. Excessive moisture in the surface forces it to crumble and deteriorate over time. 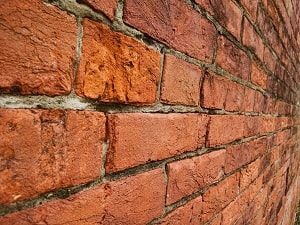 Spalling bricks start to develop cracks and loss of surface material around chimneys, in basements and on the home’s exterior. Ignoring spalling can jeopardize the stability of the structure. Heat: Extreme heat conditions caused by fire damage can lead to crumbling, cracking and deteriorating bricks. Freeze and thaw cycles: Freezing and thawing of moisture get trapped under the surface, causing it to expand. Improper gutters and downspouts: Water spilling onto wall surfaces can damage bricks over time. To prevent brick spalling in your home, the key is to eliminate moisture. Proper maintenance and re-pointing the damaged mortar joints helps keep brick edges sealed and minimize spalling bricks. 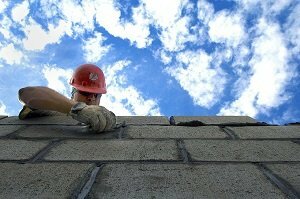 For new construction homes, make sure bricks are from a reputable dealer and they use the correct mortar type. Also, hire a professional to inspect your chimney cap, and seal open areas around the chimney. But the only way to repair spalling brick is to replace the brick. At Reliable Waterproofing & Masonry, we remove individual bricks or the entire section of the wall to rebuild it. If spalling is result of foundation settlement, we’ll use foundation repair methods to stabilize and level your foundation back to normal. This would prevent spalling and other settling issues from recurring. Our foundation repair products are made by Earth Contact Products, so you’ll be getting the latest underpinning on the market. Regardless of what is causing your spalling brick, we’ll locate the source. Don’t procrastinate correcting brick problems. Contact our experts today so we can save you money on brickwork repairs and restoration. Reliable Waterproofing and Masonry serves the Richmond, Virginia area. Call us today for an estimate.